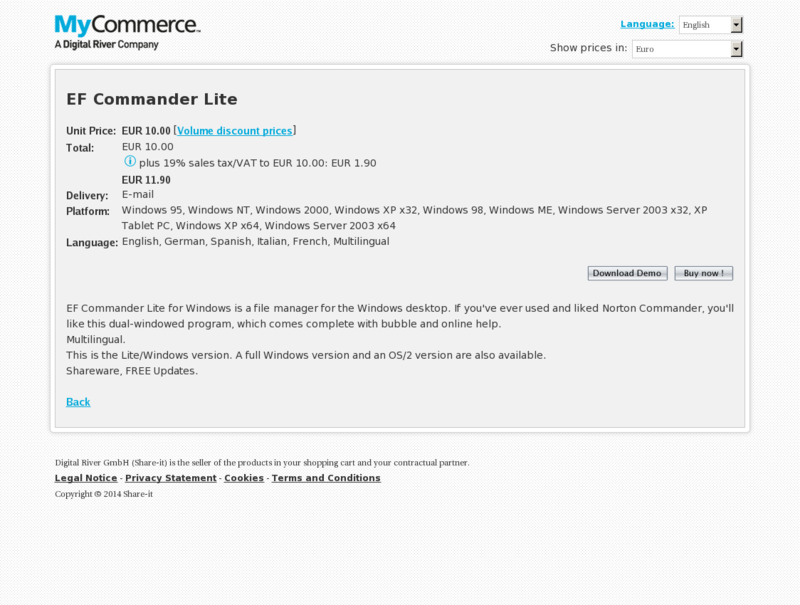 EF Commander Lite for Windows is a file manager for the Windows desktop. If you’ve ever used and liked Norton Commander, you’ll like this dual-windowed program, which comes complete with bubble and online help. This is the Lite/Windows version. A full Windows version and an OS/2 version are also available.